You need a statement piece of décor that can definitely add some Christmas cheer? Have a look at these truly festive adornments! Decorating at Christmas time often has a special meaning because the unboxing of baubles and trinkets rekindles happy memories of Christmases past. Christmas décor has varied over the centuries, embodying a cornucopia of pleasing symbols, shapes, materials, and textures. From tasteful to garish, from understated to exaggerated, decorations have definitely played a significant role in symbolizing and trimming Christmas. After all, decorations create a part of the Christmas magic, don’t you think? Do you have a favorite Christmas décor piece? 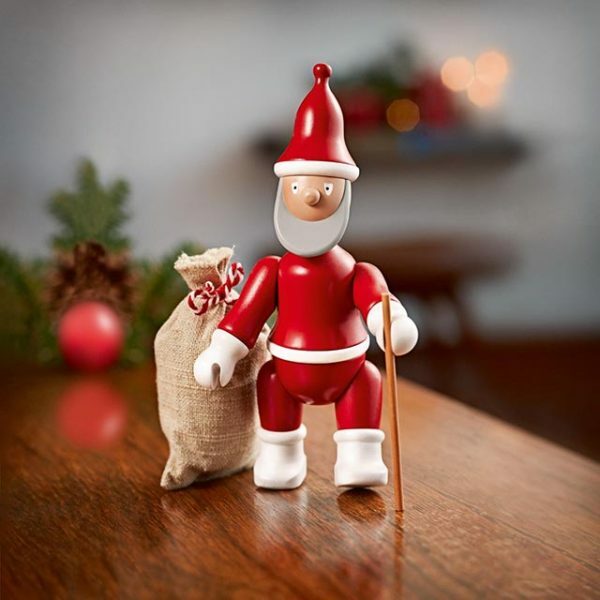 The original wooden Santa, with its sack and walking stick, was designed in the 1940s by the Danish designer Kay Bojesen. This festive toy is something to rediscover each and every Christmastime! A classic piece of Christmas décor, appealing for children and adults, it is an ideal seasonal gift. 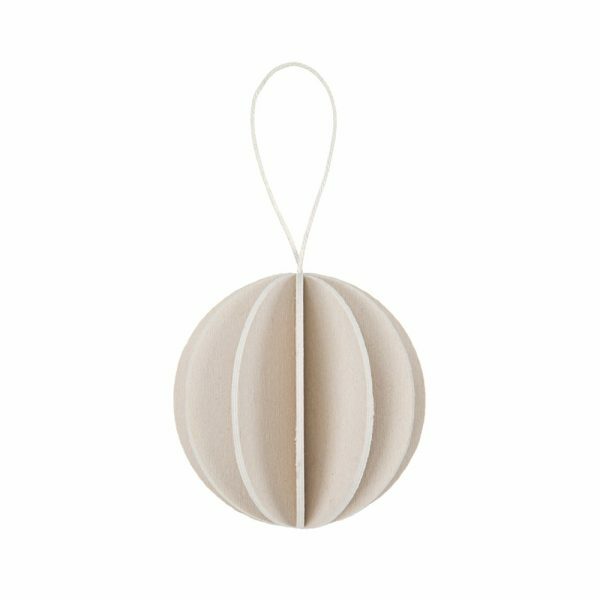 Wooden baubles by the Finnish industrial designer Anne Paso made from pre-cut pieces of certified birch plywood with a thread for hanging, these delightful tri-dimensional DIY ornaments are assembled by simply slotting the wood pieces together. Available in three different colors/white, bright red, and dark red/ and two diameters/four and six cm/, the baubles are an eco-friendly alternative to plastic ones. 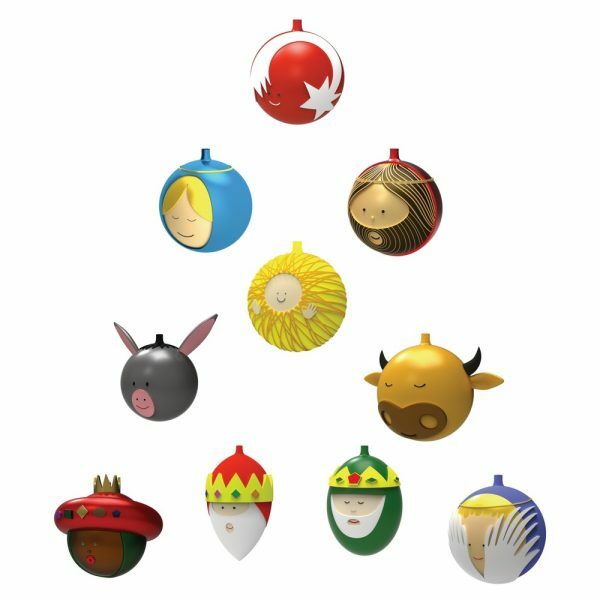 Unquestionably, they are an adorable seasonal décor option and is a wonderful Christmas gift. 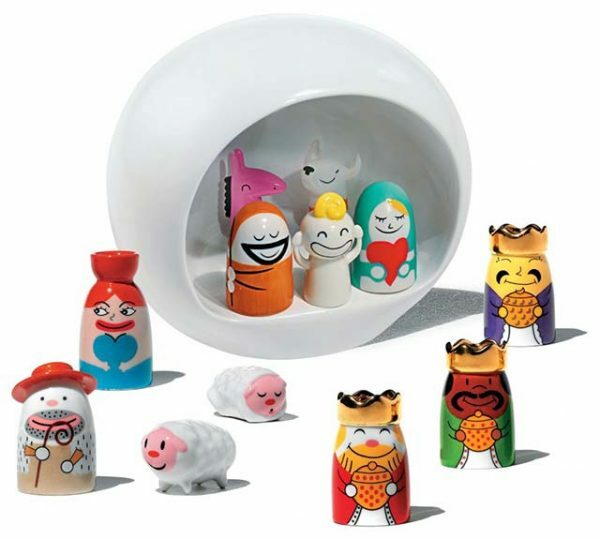 Presepe (meaning nativity scene), a winsome porcelain igloo-style crib with a cast of lovable, individual characters, is a theatrical, less conformist view on the traditional Christmas story. These festive, colorful, statement figurines are definitely original Christmas décor for any indoor space. 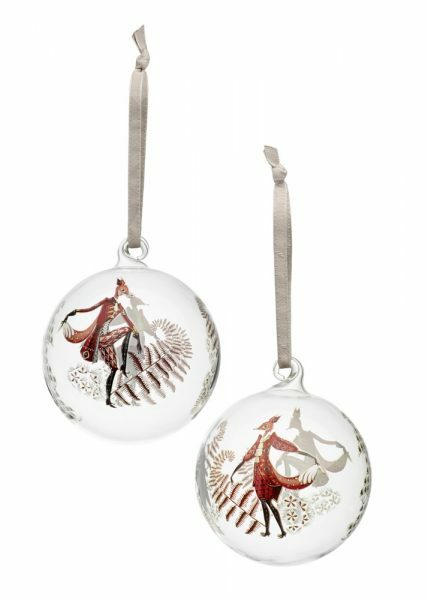 Enchanting glass baubles, designed by Marcello Jori, uniting a nativity scene with Christmas tree decorations. Hand-painted on an internally mirrored glass base to add luminosity and depth. 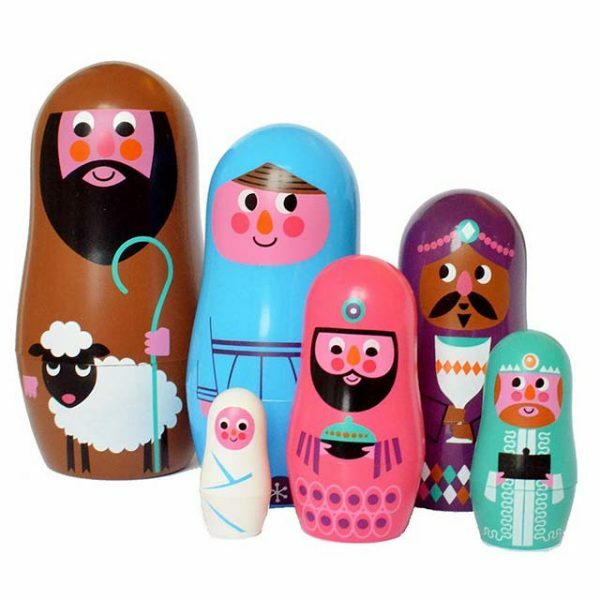 A fantastic set of Christmas nesting dolls created by Ingela Arrhenius for the Swedish design house Omm Design. 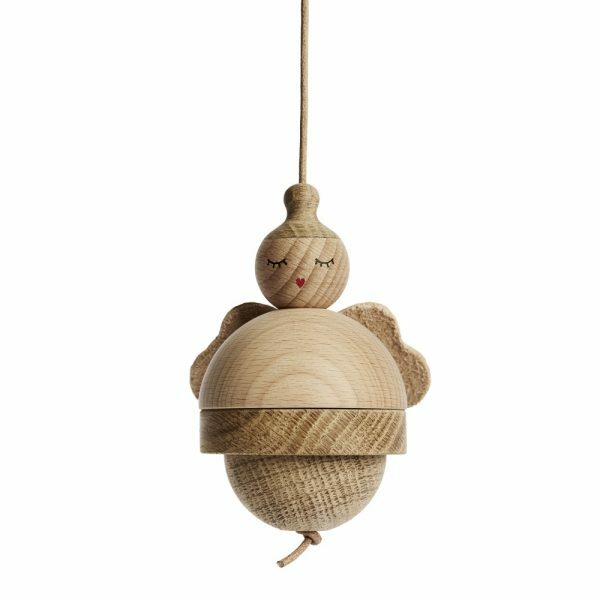 Made from a mix of beech and oak wood and with leather wings, this angel comes in two sizes/12 and 10 cm/ with a 70 cm leather string for hanging. 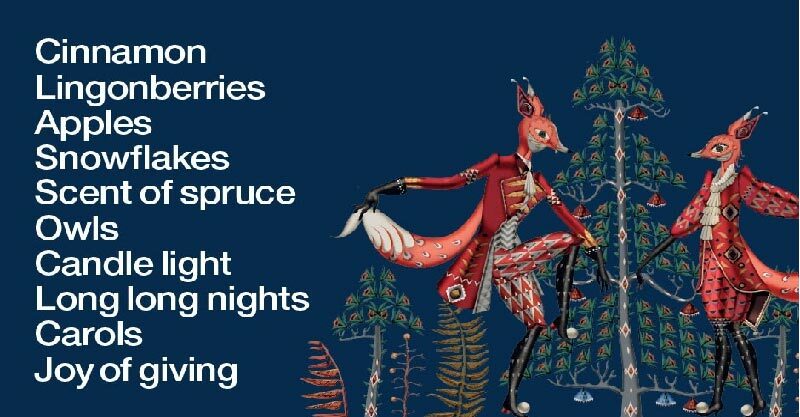 Truly a lovely festive character! 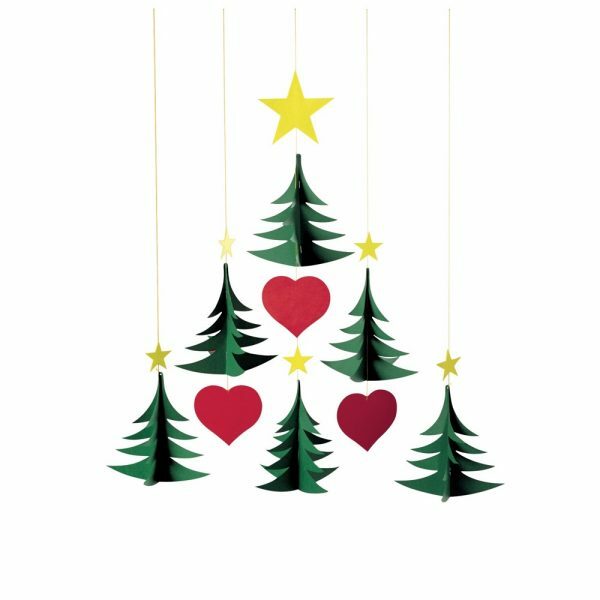 Green trees, red hearts, and yellow stars, each suspended on a single thread to move independently, coalesce to form a Christmas tree shape. Mythological kind-hearted spirit from the Scandinavian folklore, Tomte is typically associated with Christmastime. Tradition tells that putting out a bowl of warm porridge on Christmas Eve will ensure that Tomte remains friendly in the year to come. 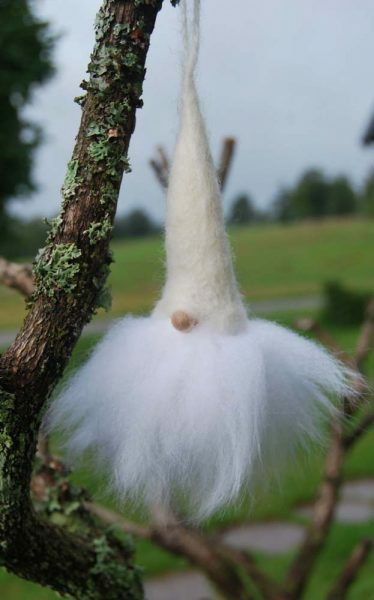 Made from wool, this bearded Grankvist Tomte is the modern alternative of Santa Claus. Do you like any of these eye-catching Christmas decorations?